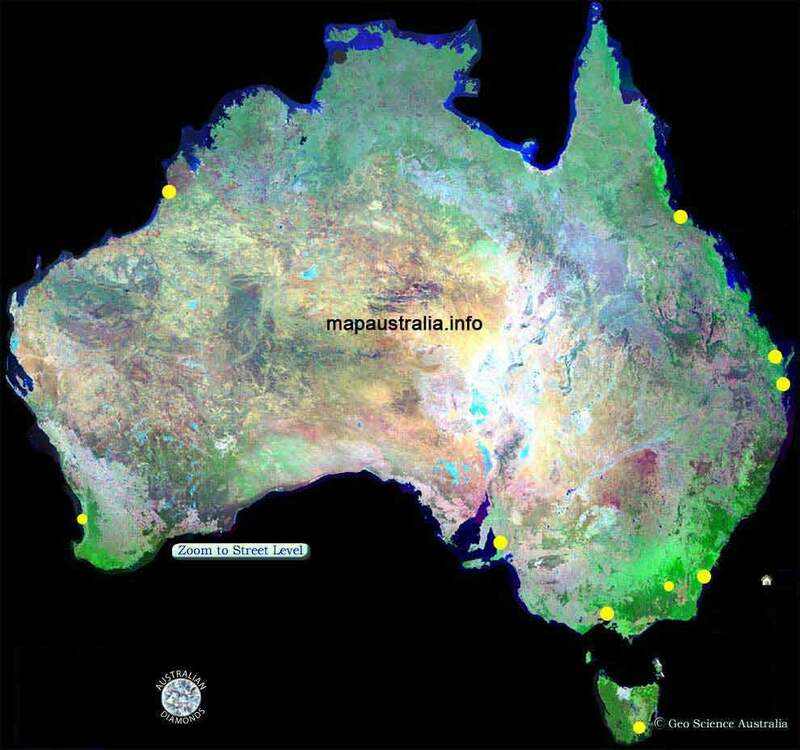 This satellite map of Australia is a 107kb resource for Australian Geography teachers and your student atlas of Australia. Australian interactive road maps available by clicking a pin location on the map of Australia above. Drill down to street maps of Australian cities and street maps of Australian towns.